I got this when I first bought my VUE. Love the VUE but almost no options for coffee pods for this since it first came out and now in 2017. This has not only saved me a lot of money but much better gives you the option to use ANY coffee or loose tea which is what I mainly use this for. It's a must to have and buy the converter too. 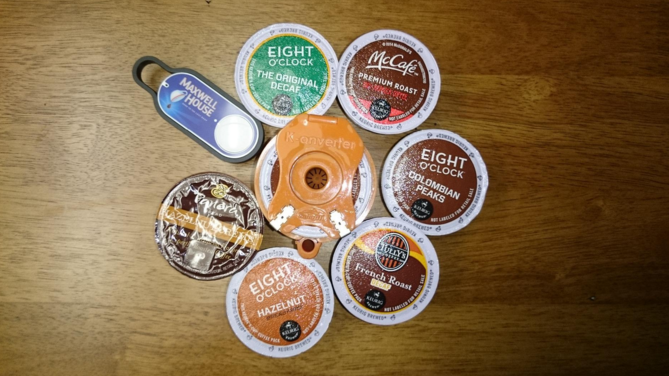 That way when you do find a sale on K-Cups, you can just use the converter. You won't be sorry. Mine lasted for 5 years until a friend house sitting didn't realize you don't throw it away after using it once. SMH. Yep - buying another one! 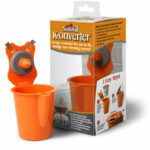 This was a replacement for a previous Solofill V2 3 in 1 Filter Cup for which I lost the Portion Pack Adapter. This works equally as well and works with or without the lid in place. You just have to ensure the K-Cup is firmly seated in the bottom with a firm "smack" to the top of the K-Cup. works perfectly with my vue maker!